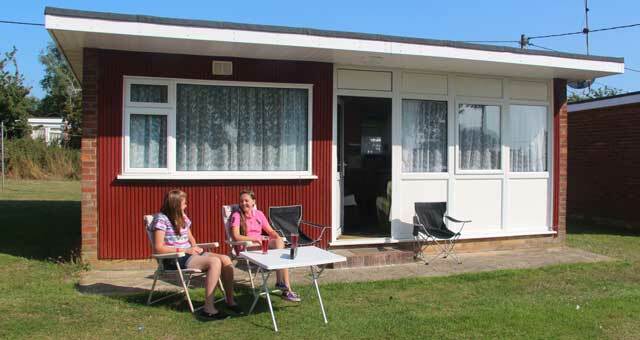 Blue Riband Chalet Holidays01493 730445work ChaletSEADELL HOLIDAY CHALET PARK, Hemsby Great Yarmouth. Seadell Holiday Chalet Park's appeal is obvious the moment you arrive. Located on Beach Road, Hemsby only a few minutes away from all the amenities of this lively holiday area. Free club membership is available on the adjoining Belle Aire Park. The detached holiday chalets are generously spaced with large well cared for grassed areas with lots of trees to complete the scene. The park is very safe for children and pets and there is ample space to walk your dog. Your dog is welcome at Seadell, but please keep them on a lead at all times. Seadell self catering chalets are furnished and equipped to very high standards. Quality detached self catering chalets in a spacious attractive Parkland setting. Parking directly outside your holiday home. Bed linen supllied - duvet cover, bottom sheet and pillow cases for each bed used. Fridge/freezer and microwave, three piece suite, fitted carpets, duvets. TV and DVD player, most with Freeview. No commercial interests on the park, nothing to spoil this peaceful haven. BELLE AIRE HOLIDAY CHALET PARK, Hemsby Great Yarmouth. Situated on Beach Road Hemsby, the park is just a short distance from Hemsby's 'Golden Sands' and the attractions of Beach Road. We have two types of self catering chalets, the 'Bure' two bedroom chalet and the' Wensum' three bedroom chalet, fully double glazed and are of a very high standard with modern kitchens, shower rooms and three piece suites for extra comfort. Free bed linen for each bead being used - duvet cover bottom sheet and pillow cases. The Wensum self-catering chalet with three bedrooms is larger and for up to five persons only. Both types have a comfortable lounge with three piece suite, dining suite, coffee table, TV & DVD. Modern shower room with washbasin and toilet. Modern kitchen with electric cooker, fridge, microwave, kettle, toaster, upright vacuum cleaner and iron with ironing board. Wensum No's 15 & 122 have a fridge/freezer. Hot water is constant by water heaters. Sleeping: Bure has one double bedroom and one twin bedded room, the Wensum offers two double bedrooms and one single bedroom with 3ft single bed and ample wardrobes. Electricity is supplied through a card meter which takes £1, £5 or £10 cards. Pets Welcome: Your dog can come on holiday with you for just £15 per week or £10 per short-break (maximum 2 dogs) small to medium breeds only during school holiday periods. Discounts available for 2 people only booking a full week. 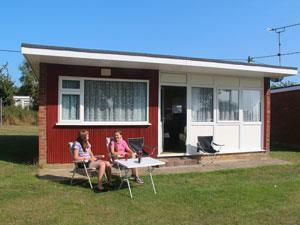 SEADELL HOLIDAY CHALET PARK, Hemsby Great Yarmouth. Some facilities may vary between chalet parks but all guests are free to use facilities offered across the three parks. Children welcome from any age. The region is easily accessible by road from all parts of the UK. Major trunk roads into Norfolk are the M11, A11, A12 and the A14 from London and the South-east, while the A47 and A14 serve the Midlands and the North. When reaching Great Yarmouth follow the A149 to Caister and then the B1159 to Hemsby.